The color is vibrant ruby with violet edges. 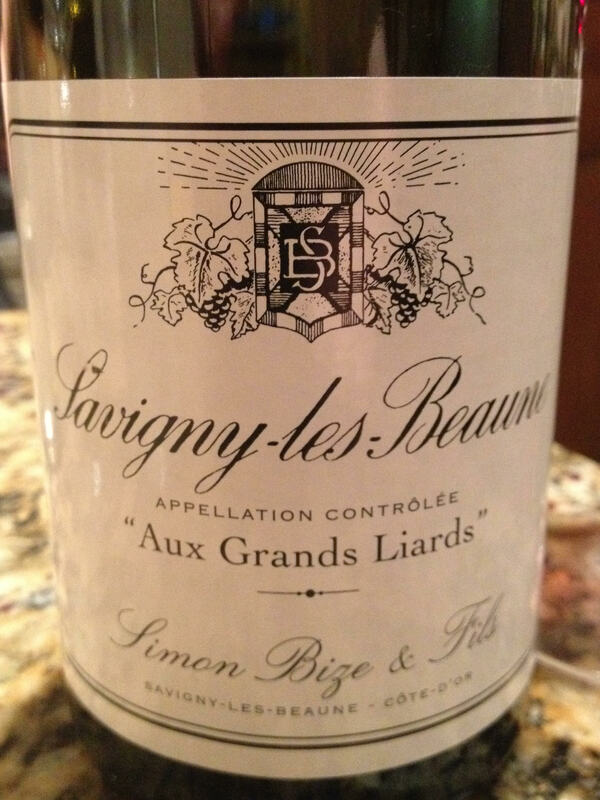 The floral nose is a delight of flowering blossoms and herbs, giving way to red fruit. 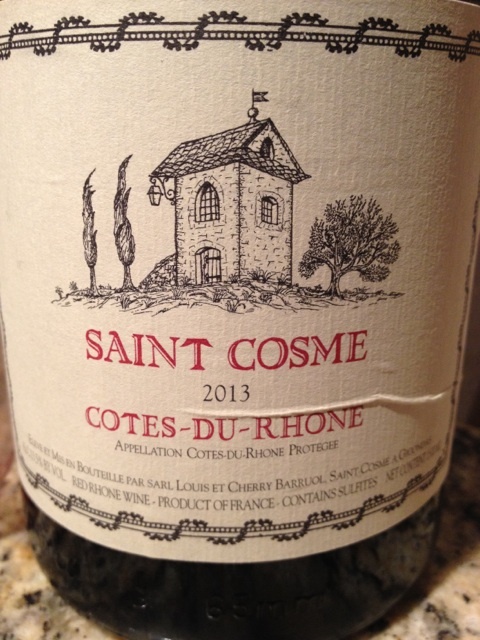 In the mouth, a delicate balance of strawberry, cherry, red plum is met by bracing acidity and muted tannin. A delightful if not textbook Burgundy, I was unable to wait another year to drink this beauty which will undoubtedly improve with a few more seasons. Nevertheless, I couldn’t restrain myself and made a menu to pair. 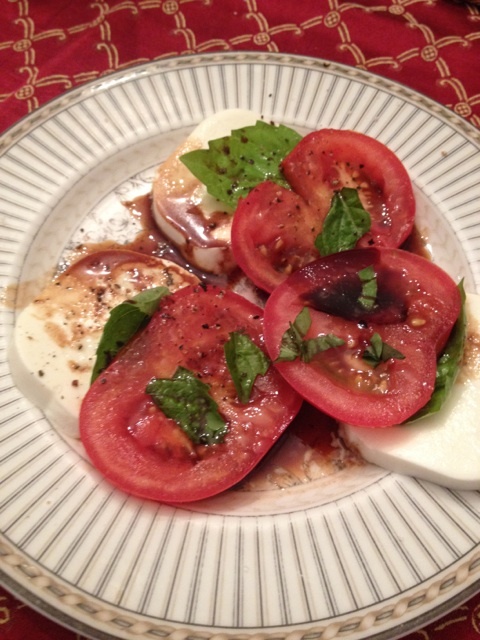 We started with a caprese salad and toasted Italian bread, with a bottle of German grower Sparkling Wine: Elbling Sekt (NV) by Hild. 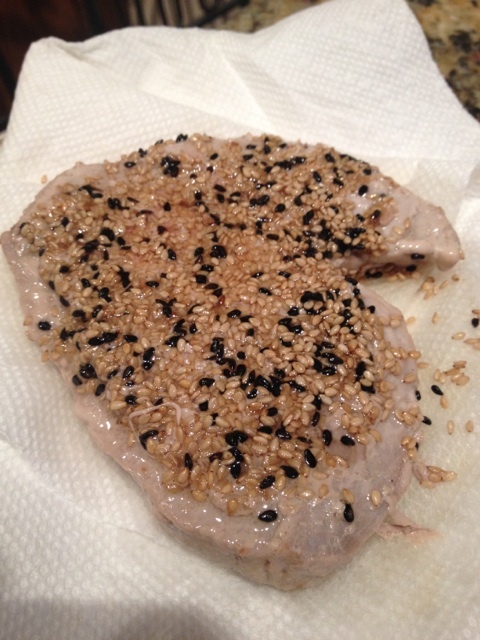 The main course was a duo of salmon and sesame-encusted tuna steak. 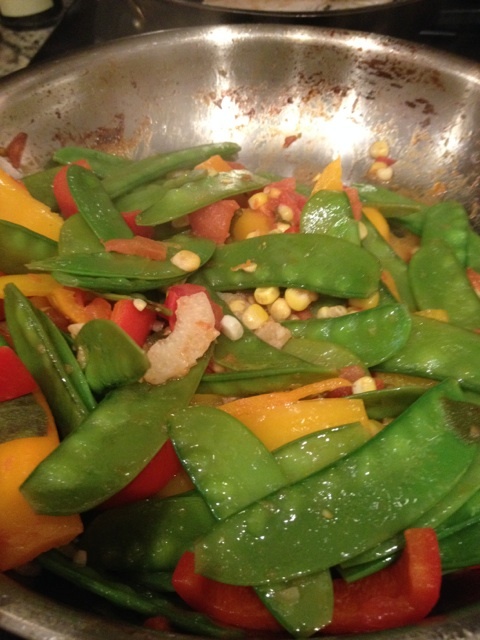 Sides were basil couscous (right) and a vegetable mix of snow peas, red & yellow peppers, corn, and tomato sautéed in Jaques Puffeney’s Savagnin 2011 (left). 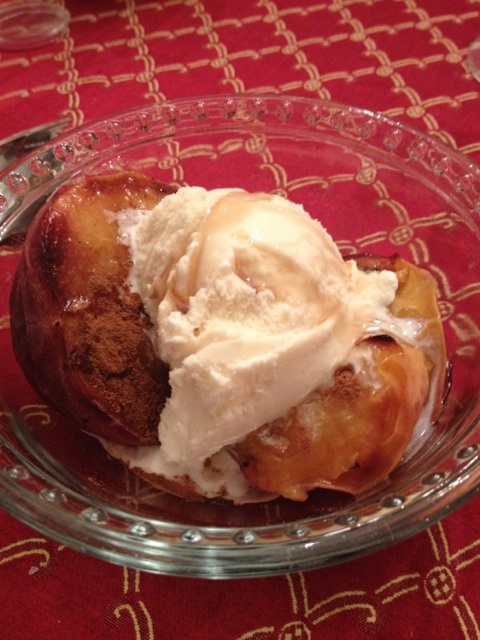 The final course was grilled peaches with vietnamese cinnamon, vanilla ice cream and a drop of Blis bourbon syrup on top. But the star of the meal and the evening was undoubtedly the wine. 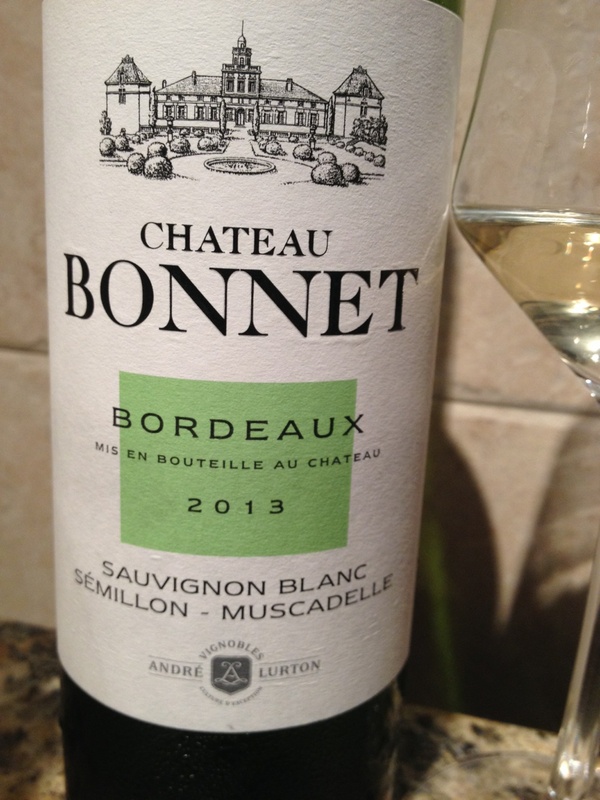 André Lurton’s Château Bonnet Blanc 2013. Bordeaux, France. Internet from $12-14/bottle; 12%ABV. Color is pale straw; the nose is grapefruit, lemon-lime and wildflowers. 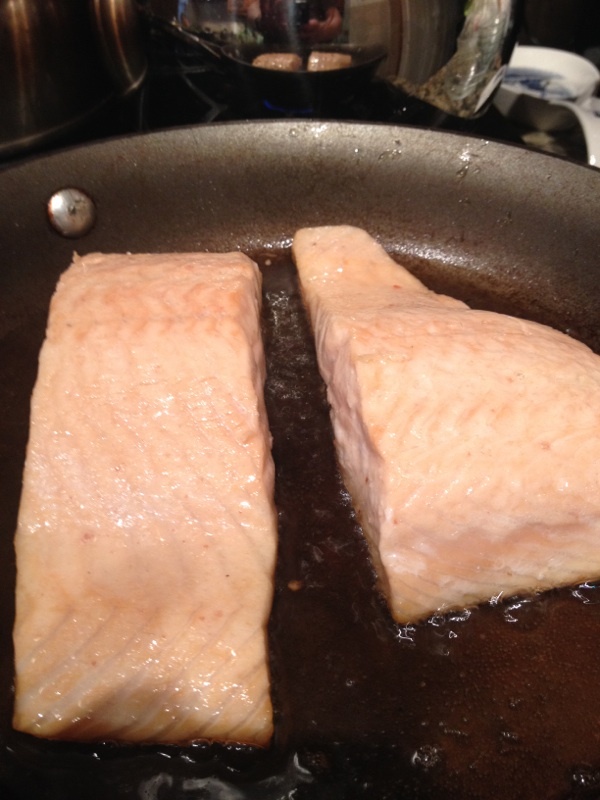 Flavors of grapefruit dominate the mouth, followed by a hint of sour candy, shale and clay. Tart with a mouth puckering finish with lingering satisfaction. 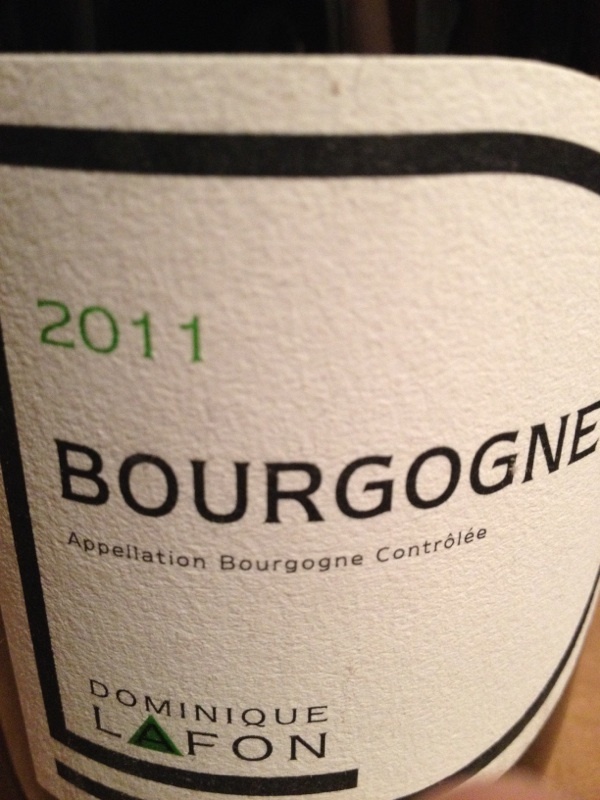 A luscious blend of sauvignon blanc (50%), semillon (40%) and muscadet (10%). Best when served chilled but expressive as the bottle warms. A classic white bordeaux for the sauvignon blanc lover at a great value. With a screw-cap closure, it makes it even easier to keep a bottle in the refrigerator for your next dinner or afternoon sunset. Last night I attended a celebratory picnic dinner. If you don’t know, I make my living in entertainment. Yesterday was my last day on a tremendously large project that makes the Bonnarroo Festival look like kindergarten. The picnic was a small gathering of key people involved in the project. Everyone’s eyes exhibited the cold, thousand-yard stare of soldiers who had survived multiple battles but still felt as if the war hadn’t entirely ended. We had gone shoulder-to-shoulder in the trenches, taken bullets for our buddies, and survived. And we needed good food and good drink! When I was invited to attend, I replied: “I’ll come, but only if I can bring the wine.” They agreed. In the afternoon before the event, I hit the cellar. I grabbed bottles that I like to drink, bottles I knew intimately, and bottles that would fit in at a cookout. Upon my arrival, I commandeered a table. With my white and sparkling wines chilling in an orange ice bucket, I laid out bottles I had pulled from the cellar for this evening. Many people stopped by for a glass or three. Even before the rain hit and we had to call it a night, it was a very successful evening, and a ton of fun for all! So. What’s in YOUR glass? 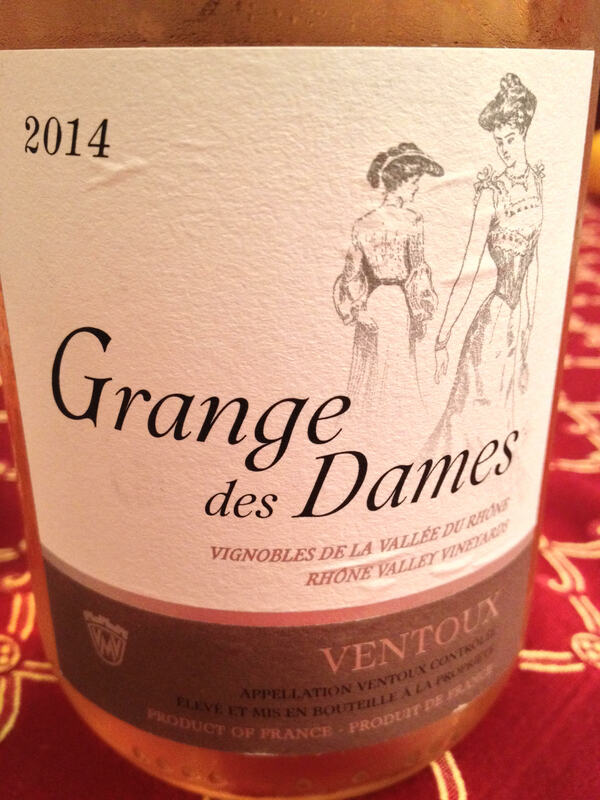 Grange Des Dames Ventoux Rosé 2014; Rhone, France. $12/bottle online; 13% ABV. Delicate pink in color with a nose of fresh strawberries and rose blossoms. Dry on the palate, an ideal food complement: direct, supple, and refined. 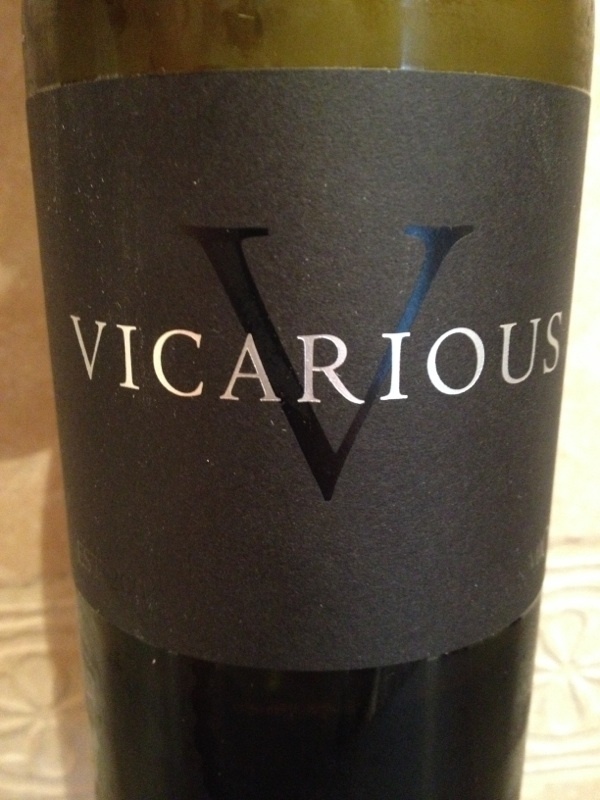 Blended from 60% grenache noir, 20% cinsault, and 20% carignan. Like a ray of late afternoon sunshine, a delightful moment on the palate before I hungrily downed the sip and looked for another. For several days after long work hours, I enjoyed coming home to this wine and didn’t wait for food to enjoy a glass, though I appreciated it just as much with food and again afterwards with a gentle goat’s milk cheese. 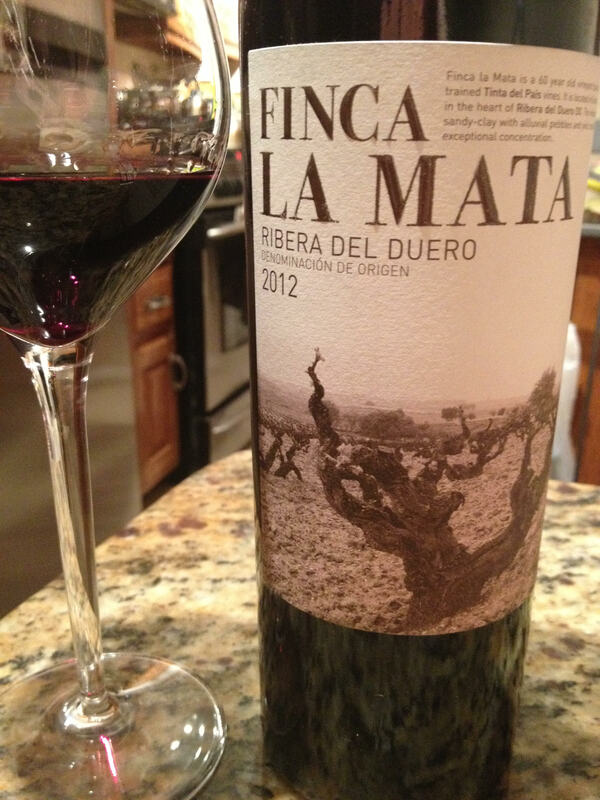 The expressive red fruit, floral bouquet, and balanced acidity make this wine so easy to drink that I wish I had several bottles to share with friends this summer. 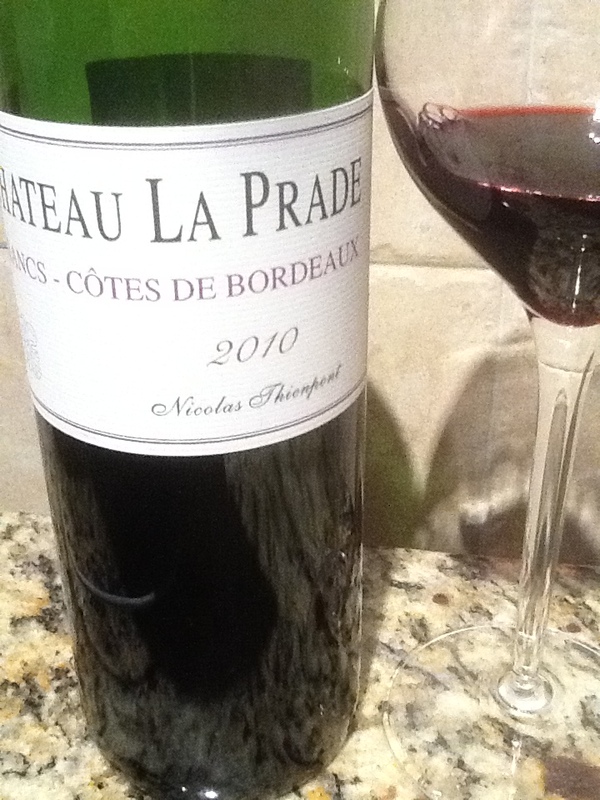 Nicolas Thienpont’s Chateau La Prade 2010 Francs-Côtes de Bordeaux; Saint-Cibard, France. %15 ABV, priced between $17 to $24 per 750ml bottle online. Sample provided by Teuwen Communications. Color is deep, dark violet with a fragrant nose of black cherry, eucalyptus, and cassis. In the mouth, bold dark fruit, notes of berries, cherry, black plum and medium acidity are followed by massive tannins and notes of oak, forest floor, chalky clay and metallic black soil. Medium-long finish. Primarily merlot with some cabernet franc (obviously from old vines), this wine is delicious by itself but beautiful when paired with a savory meal. I served this with beef one night and a classic veal stew the next and the wine paired magnificently both times, outshining an excellent meal to become the focal point. 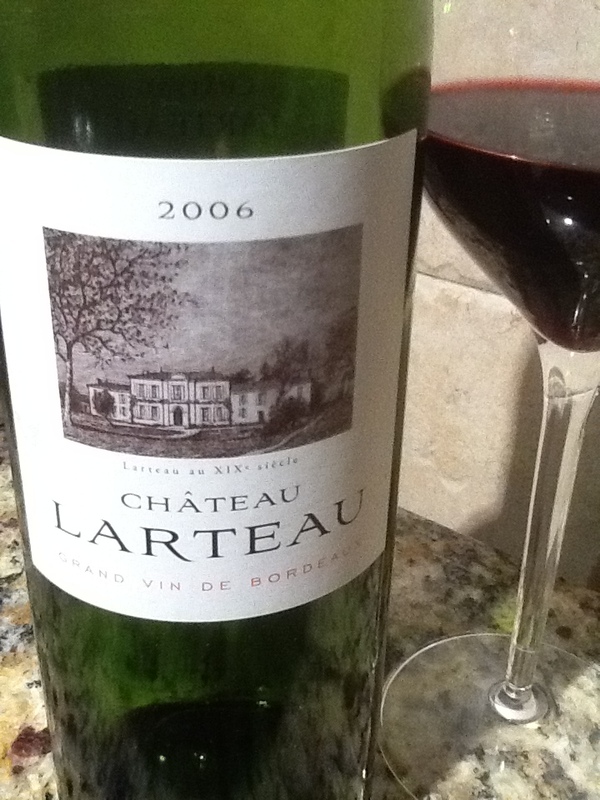 This bottle did not require much air to open for drinkability and stayed consistent over several days; it is very good now and may stand to improve significantly in 3-5 years as the tannins have time to mellow and the fruit relax into darker notes for an even richer experience. I did not notice the high alcohol content in tasting, but certainly would had I enjoyed more at a single sitting. This is an immediate buy for old-world wine lovers (like me!) and a great comparison wine for those who are more fond of new world red blends. Tasting Hungarian Wine: Kékfrankos and Bulls Blood! I recently attended a tasting of Hungarian wines. Previously my experience with Hungarian wines have included Tokaji, Tokaji, and Tokaji. While I enjoyed Tokaji (both in the sweet Furmint and aromatic Muskotály), I knew there was more to taste. So come along with me and learn about what other wines are available from this old-world wine region! The host of my tasting was named Martin and when I inquired, he explained that most Hungarian winemakers still use traditional, old-world methods of pressing, punching down wines by hand, and barrel aging- often using the same barrels over multiple times. 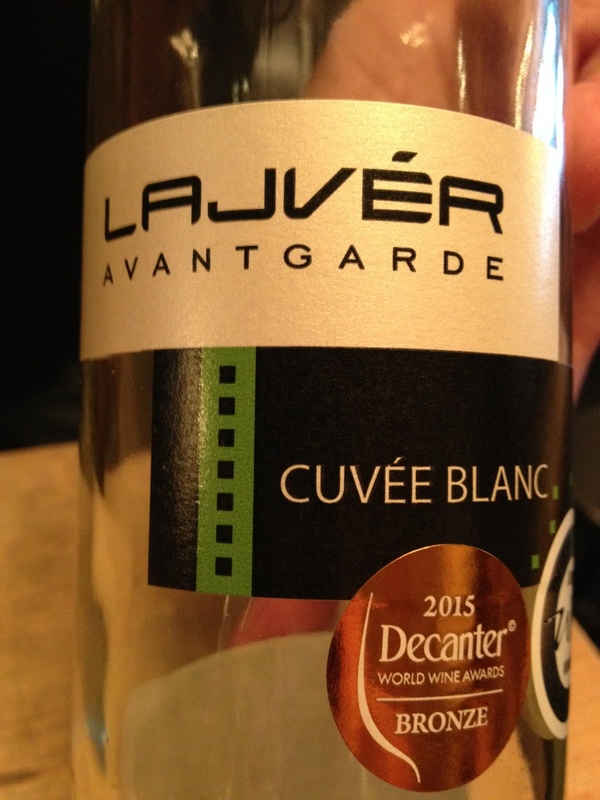 Here are my notes, in tasting order: Lajvér Avantgarde Szekszárdi Cuvée Blanc is a blend of Sauvignon Blanc, Pinot Blanc, and Czerszegi. Nose of distinct grapefruit. 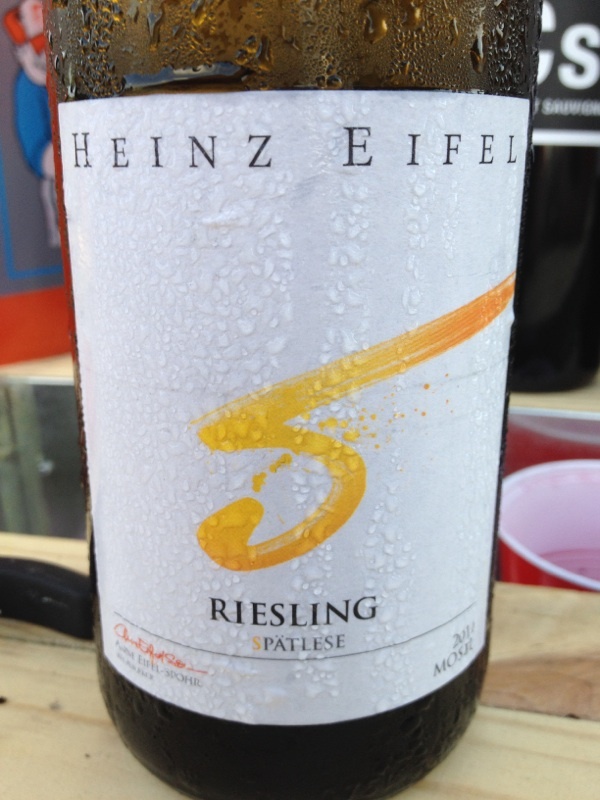 In the mouth, bright citrus, white stone fruit, green vegetation, and considerable heat with a finish that shows spice, flint, and shale. 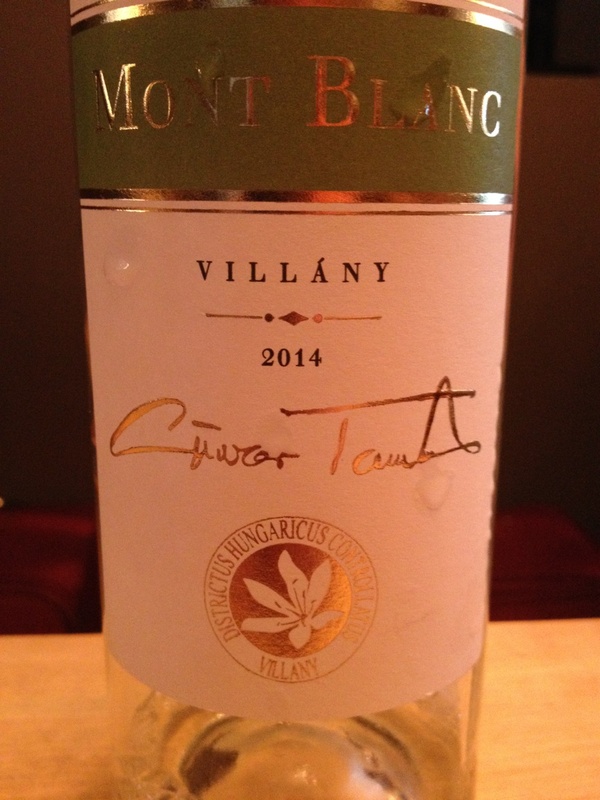 Günzer Villányi Mont Blanc blends both Muscat Ottonel and Welsch Riesling. With a slightly green tinge and a sugary nose, it shows apricot and citrus with a balanced, gentler acidity and a short finish. 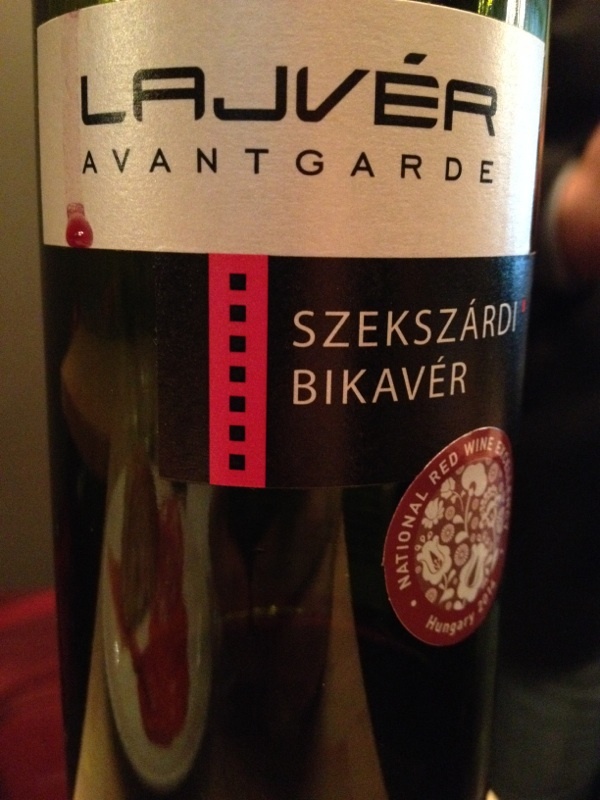 Lajvér Avantgarde Szekszárdi Cuvée is 40% Cabernet Sauvignon, 40% Cabernet Franc and 20% Merlot, a wine made by blending barrels of aged & fermented single grape wines together. 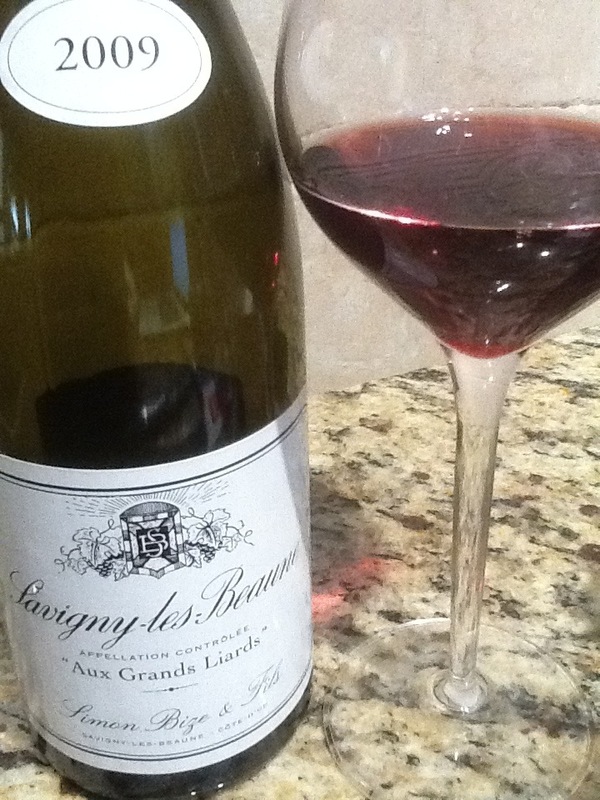 It reminds me of nouveau beaujolais, tasting like a young, bright, fruit-forward wine that hasn’t fully congealed. Lajvér Avantgarde Szekszárdi Bikavér has an unusual nickname, “Bull’s Blood”. Legend says that during the Turkish invasion of 1552, local soldiers defending the castle of Eger were fed a red wine that was mixed with the blood of bulls to strengthen their resistance, and after 39 days of intense and bloody combat, the invaders departed, leaving the castle intact. Bikavér is the same blend of 40% Cab Sauv, 40% Cabernet Franc and 20% Merlot, as the Cuvée above but a big difference is key: the grapes are blended and ferment in the same barrel together, making a very different and homogenous wine. Medium violet in color, the nose is dusty rose and forest floor with green pepper and granite. 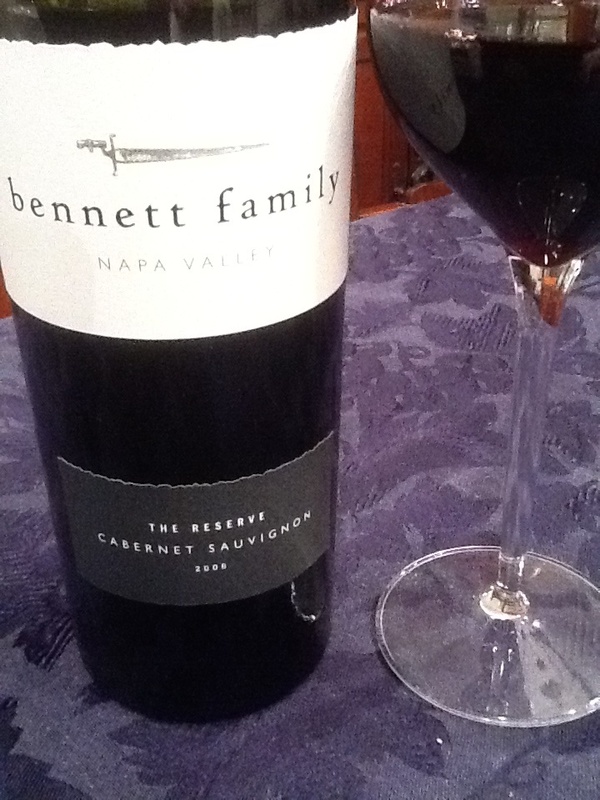 In the mouth, strong black plum, boysenberry, and cassis meet solid tannin and a medium long finish. This is a wine to seek out and taste for yourself. Mészáros Pál Szekszárdi Merlot is a fragrant wine with dominant flavor of boysenberry with some blackberry, subtle acidity and gentle tannins. Vanilla clay, and reticent oak notes follow. 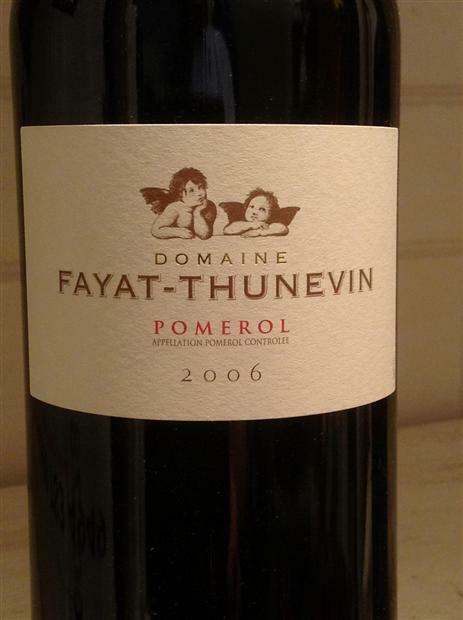 Might pair well with early courses or gentle main courses, this is a relaxed red with a hint of savory maturity. Mészáros Pál Szekszárdi Kékfrankos is the one from the group I’d suggest that should not be missed by any serious oenophile. 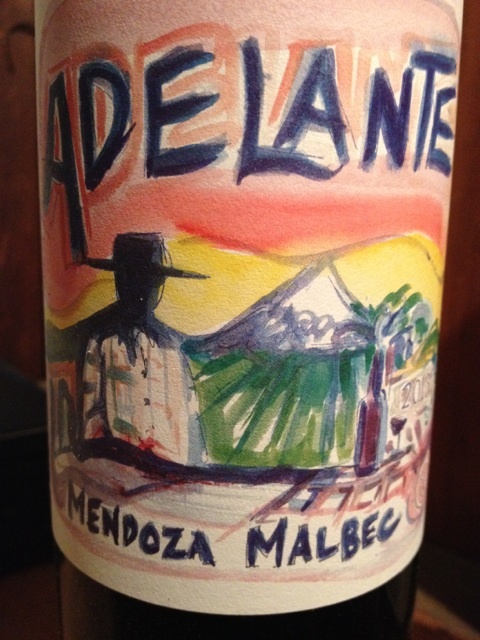 This 2012 bottling is 13% ABV and shows red and black fruit, balanced acidity, powerful tannins, and lots of spice. From the new world wines, this wine sits between a red zinfandel and syrah, with a sense of lush gracefulness. The tasting note I finished with was “really lovely”, and I marked this as a buy for my personal cellar. 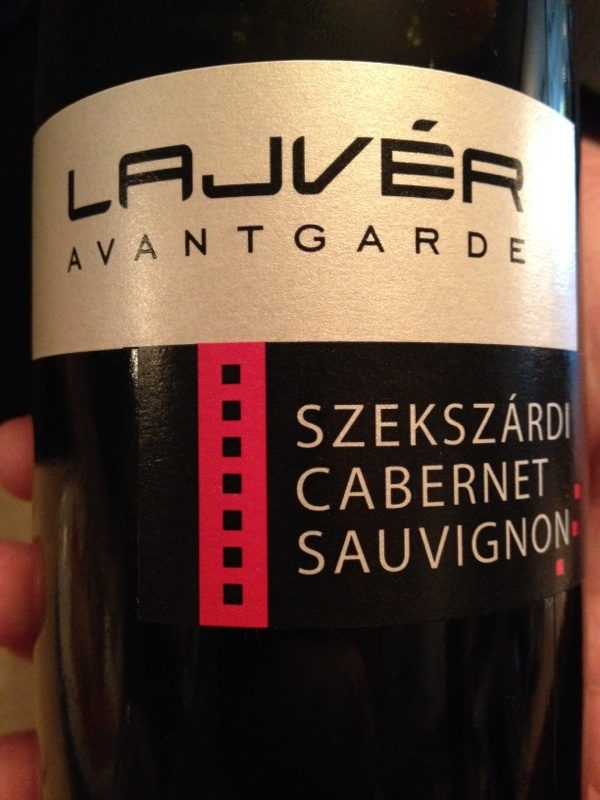 Lajvér Avantgarde Szekszárdi Cabernet Sauvignon 2012 features 14%ABV and falls into the “classic cab” category, not to be mistaken with any of the new world cabs that feature big fruit up front, this one is nice, dry, subtle, and restrained. 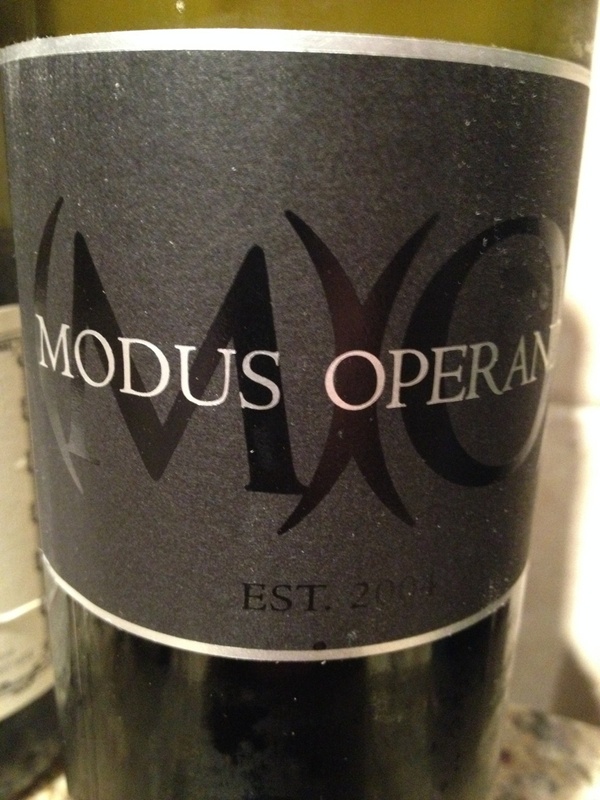 Medium purple in color, blackberry is dominant on the palate with medium acid and a medium short finish showing aged oak, forest floor, and chalky clay. 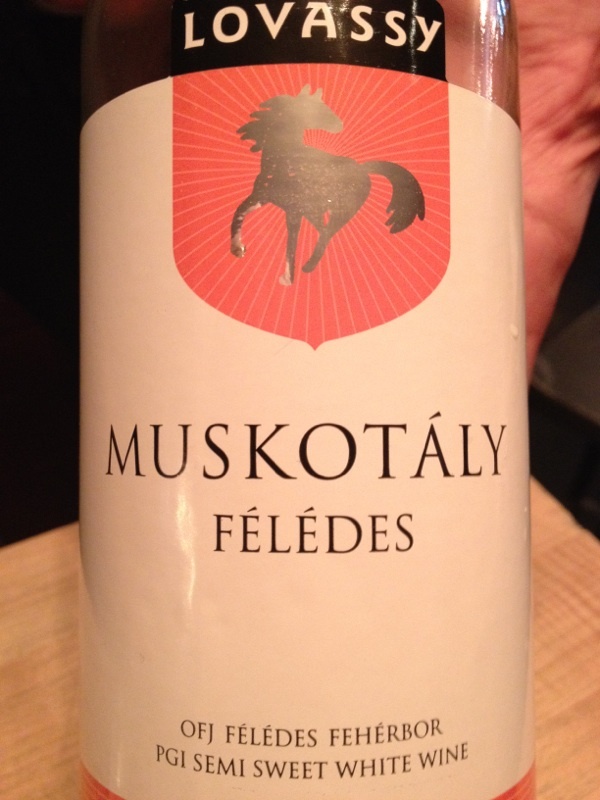 Lovassy Tokaji Muskotály Félédes is a sweet dessert wine/apertitif with fragrant nose of yellow peach and island mango. In the mouth it shows honey and candy with a short almond finish. A distinctive flavor that managed to not be either too sweet or too musky, there is a satisfaction in the balance that offsets the sweetness to prevent it being too much, and it was as popular at this tasting as Tokaji wines have been – hard to keep in the glass, surprisingly easy to drink, and often in short supply. I was excited to taste a real cross-section of Hungarian producers in one sitting, and hope you get the opportunity to do the same. I expect you also will be pleasantly surprised, and hope readers will now expect and trust in finding quality, old-world wines made by hand in the under $20 range. There is indeed a good cross-section of Hungarian wines available, from whites, reds, and dessert wines, as well as the three not-to-miss wines in my opinion: the Bikavér, Kékfrankos, and Tokaji dessert wines. Enjoy! 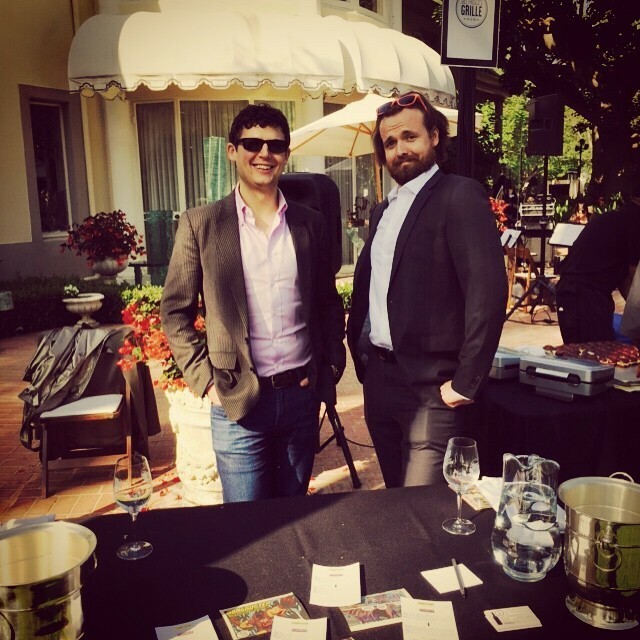 Three Winemakers to Watch and Their Perfect Summer Wines! 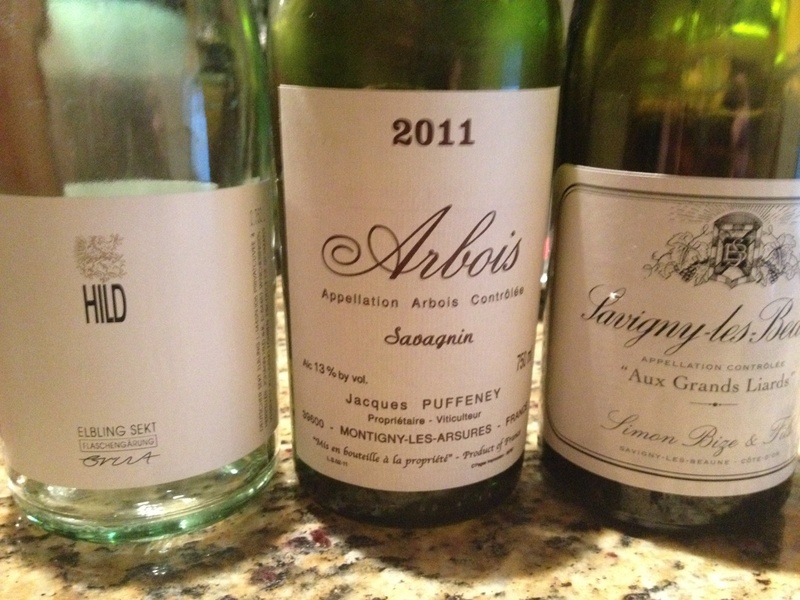 Three stunningly delicious white wines from three winemakers you need to have on your radar. Thomas Houseman from Anne Amie, Elizabeth Clark from Airlie Winery, and Birk & Karl from Iconic Wine. 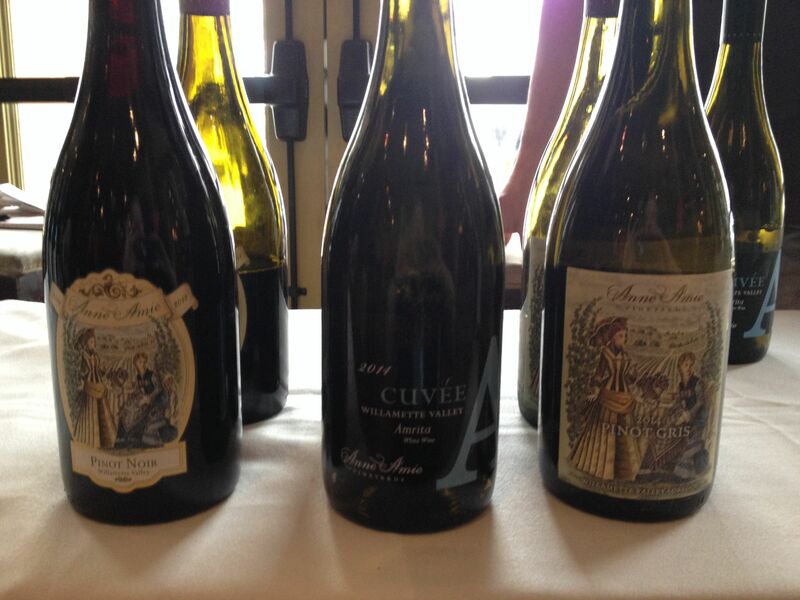 Anne Amie Vineyards 2014 Cuvée A Amrita, Carlton, OR. $15 per bottle, 13.2% ABV. 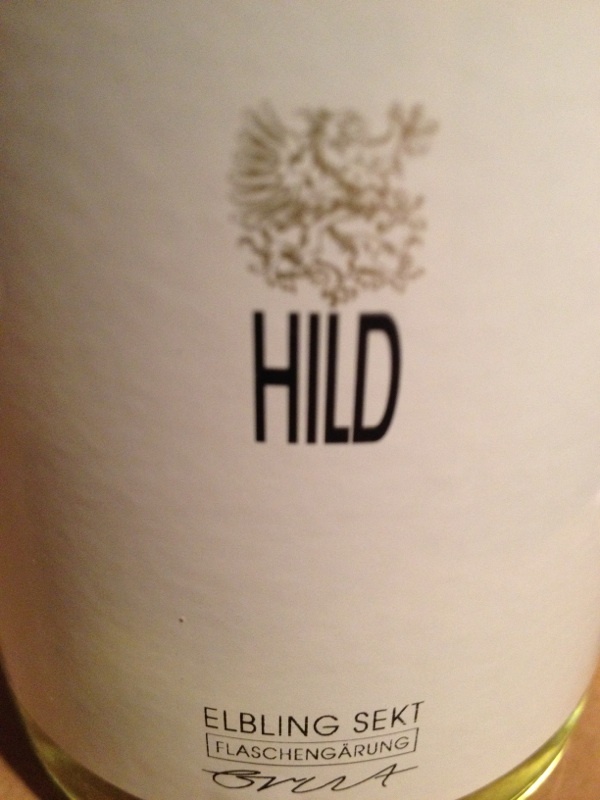 Winemaker Thomas Houseman’s tribute to vinho verde, this is an under-the-radar Willamette Valley delight! 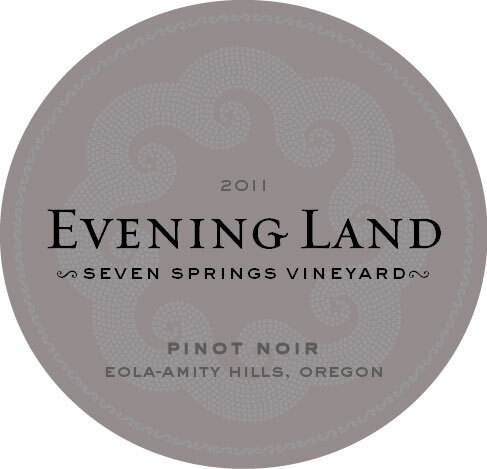 A six-wine blend with (grapes listed from most-to-least) Pinot Blanc, Müller-Thurgau, Riesling, Viognier, Chardonnay, Gewürztraminer) from four vineyards in the Willamette AVA, this wine shows delightful aromatics of wildflowers, lavender, and honeysuckle along with a pale gold hue. In the mouth, it awakens the palate with an unusual approach of fresh berries, pear, pineapple, starfruit, apricot and quince. Far more fun than my usually desired Bordeaux blends and unequalled in essence, ‘Amrita’ means ambrosia- as in the nectar of the gods. I think they got this name right. Have a friend that loves white wine? This is the perfect gift bottle. Have a look at the classic, 19th century designs on some of these bottles. The kicker is, I thought all the wines I tasted from Anne Amie Vineyards were both excellent and impressive, but the Cuvée A was a delightful, inexpensive, no brainer that I immediately wanted to buy a whole case. BAM! 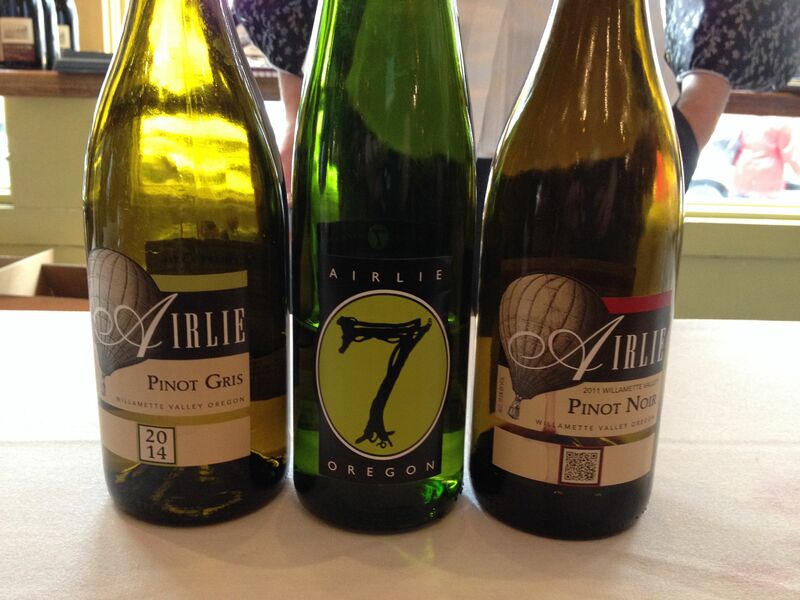 Seven White Blend 2014, Airlie Winery, Monmouth, OR. $15 per bottle, 11.9% ABV. My palate told me I was tasting a high end blend from a classic chateau, so imagine my surprise when I found it was an blend from Oregon! 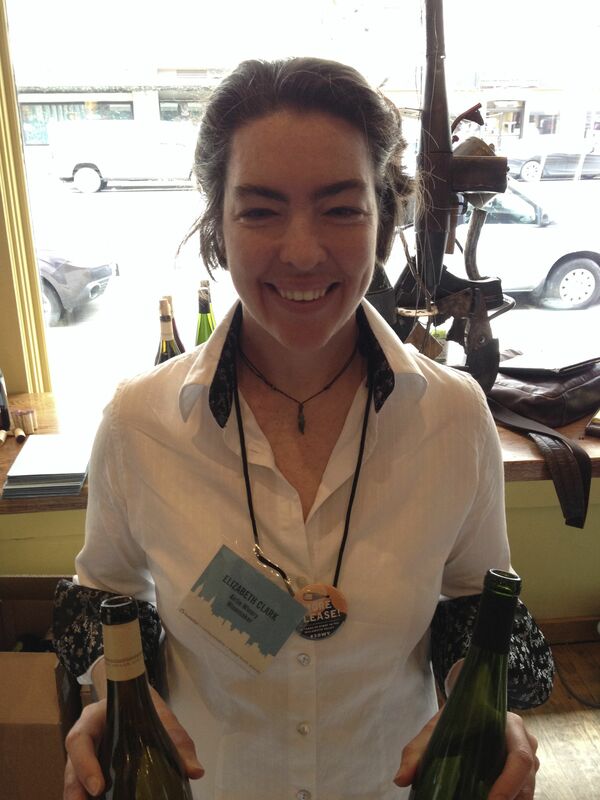 Tasting winemaker Elizabeth Clark’s refined and delightful Seven White Blend changed my mind that Oregon’s best export is Pinot. I couldn’t’ believe that she makes this wine every year with similar results, and Clark explained to me that keeping a blend consistent from year to year is challenging. She contended that while there will be subtle variances in fruit profile each year, it is the fruit-to-acid ratio that is the key and always stays the same- providing the same wine profile wine with faint differences. 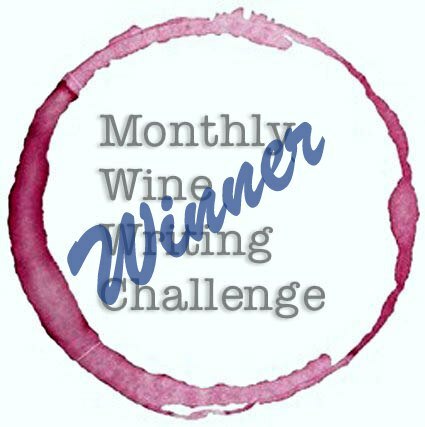 It absolutely works, but don’t take my word for it: with such a fun and lovely wine at a low price per bottle, you won’t have enough to compare to next season unless you purchase by the case. A white wine lover’s go-to, you should find some before its gone. This lady is madly talented and her work is delicious- I truly enjoyed her other wines too, but the blend just knocked me for a loop. Heroine Sonoma Coast Chardonnay 2012, Iconic Wine, $29/bottle, 13.5% ABV. Birk O’Halloran and Karl Antle are the winemakers who form the tiny company Iconic Wine. 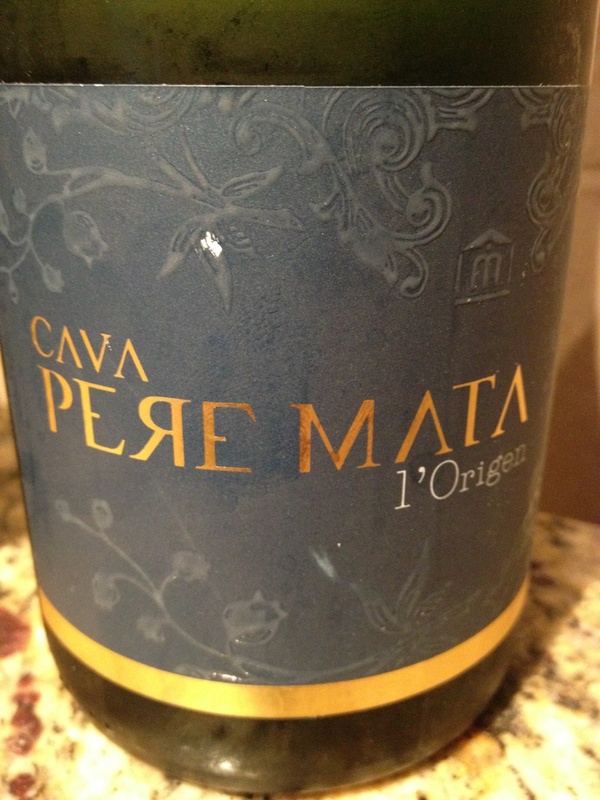 These guys flew in under my radar and it was a NYC somm who turned me on to their wines. When I saw the list of who is serving their wines, (think Daniel, Eleven Madison Park, Oceana, Blue Hill, Tribeca Grill just for a few!) I bought a couple of bottles. After tasting, I wished I had purchased more! I served a bottle of Heroine Chardonnay to a group of ladies who adored it, and against six other wines that night, it was the clear winner. 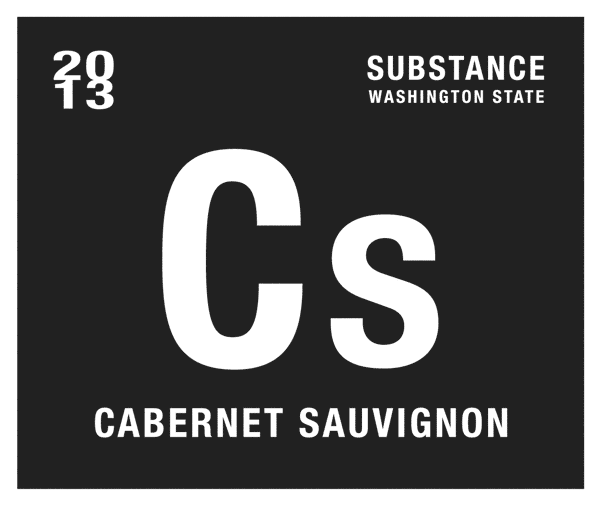 Focused citrus fruit melds delightfully with acid for an ideal mouthfeel, the finish shows salinity, and chalky limestone with just a hint of oak. A solid sense of terroir and personality from a wine that is so balanced and easy to drink it’s almost criminal…or Heroic! 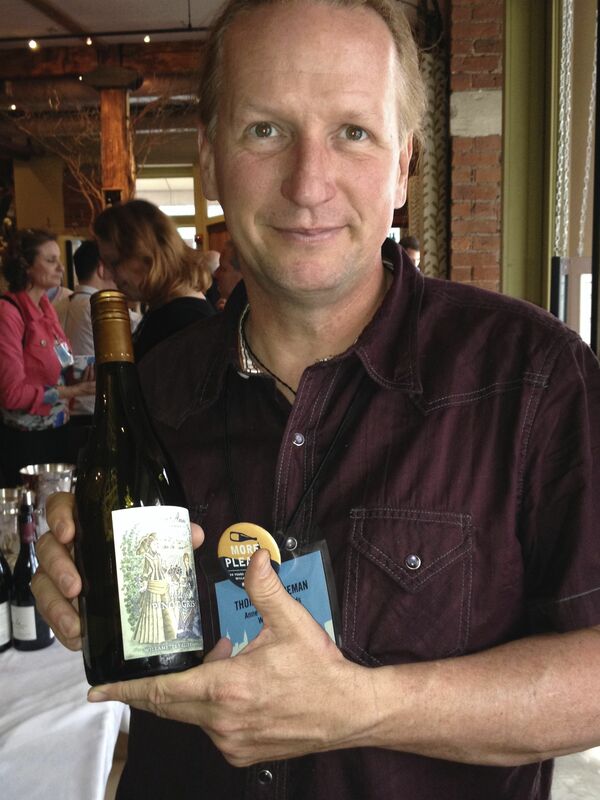 David White of Terroirist Wine blog did a great profile on Birk and you can find it here. Their label is not only young at heart, but it’s refreshing. I’m a fan of classic, old world styles and labels, but I found this label unapologetic and entirely fun, much like their cork design, scribed with the image of a lightning bolt corkscrew. I have yet to meet Birk & Karl in person, so I snagged this pic from their website (apologies to the unnamed photog), which I think shows their sense of humor and exuberance even at snooty wine events. 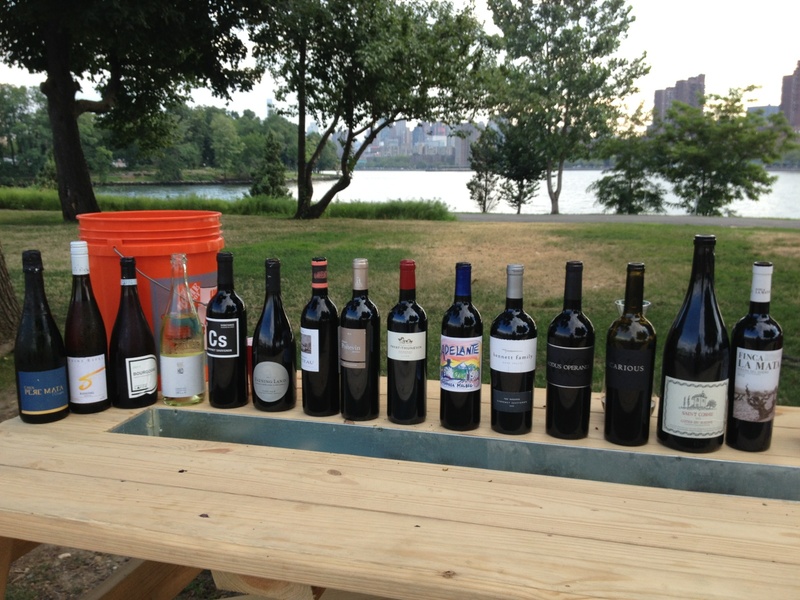 Who are the independent winemakers you’re following? 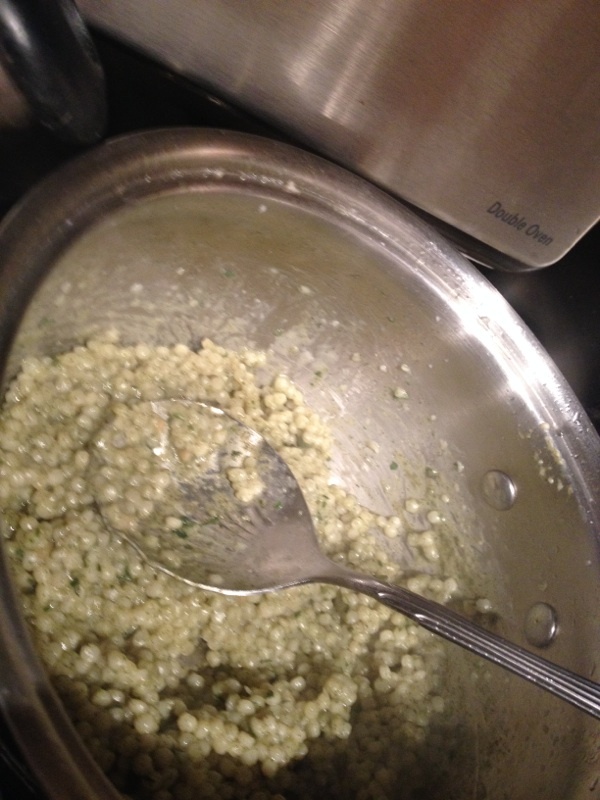 Share with me, on JvB UnCorked!